The coolers will come in both tower and down-flow variants, most of which will include the company’s patented cooling fin cut-outs. These, Enermax claims, enable the air being pushed through the cooler to circulate around the fins for longer, as it travels up and down the height of the cooler rather than just straight through the fins. 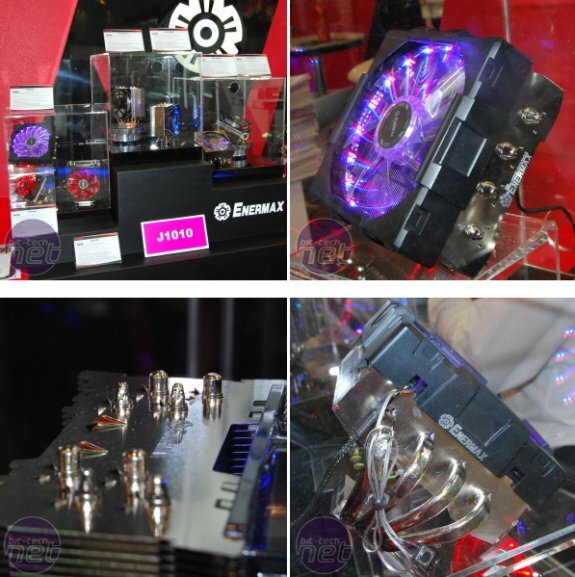 Also of note is the sheer size of some of the heatpipes on offer; the ETD-F40 cooler uses 10mm heatpipes, which Enermax claims is a market first.